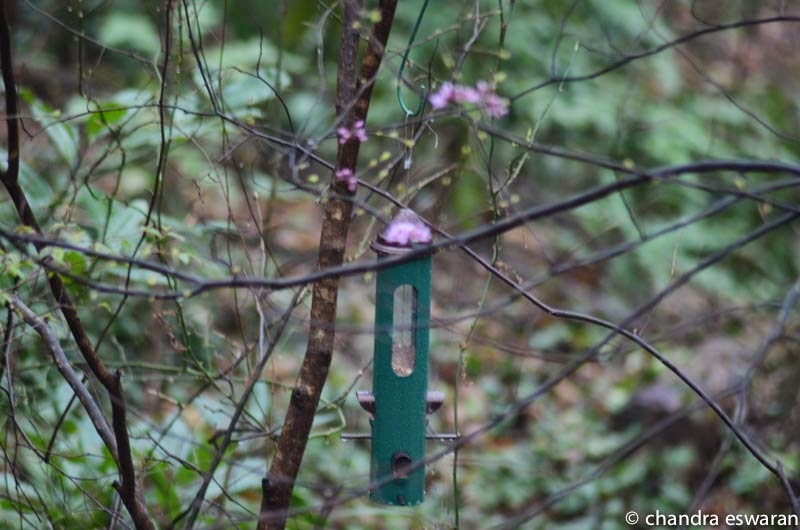 A little ways, back in the woods, is our Wild Bird Feeder. I was hoping that if the squirrels needed some food, they would get some from here, but I haven't seen any squirrels lurking around here, so far. However, we have several Cardinals coming to our backyard and they seem to eat out of this feeder, from time to time. The Cardinals are very pretty and the males do all sorts of 'nice' things to the females they court. One of the males actually lays the safflower seeds on the deck railing, so that the female does not have to work hard. What one wouldn't do for love? So cute.